Have you seen Ordinary Days? Tell us what you think in the comments below. 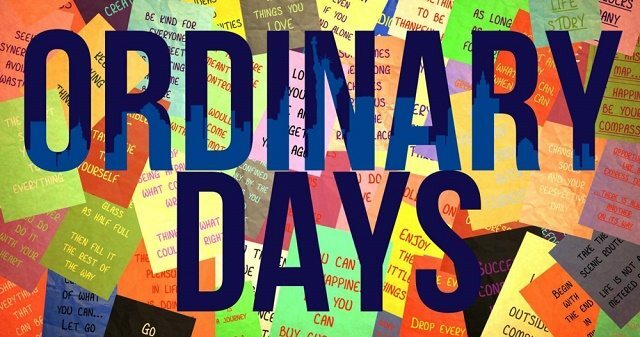 Ordinary Days is a cute little musical by Adam Gwon about the “ordinary” lives of four New Yorkers who turn out to have an unexpected profound effect on one another’s lives. Generating a sense of fate, Gwon’s musical depicts how any day can become extraordinary without us really knowing it. 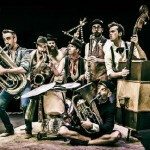 Atomicus Entertainmet’s production is small scale and low key; fringe theatre how fringe theatre used to be. The space is small (perfect for a four-hander) and the set, large boxes and a wall of coloured flyers, makes for a visually interesting piece. Christopher Keating plays Warren, a bumbley little loner who is keen to find some friends and inspiration in the big city. Katie Brennan plays Deb, a neurotic and disorganised Grad student in search of something more and Alexander Parker and Katriona Perett play Jason and Claire, two lovers with a strange distance between them. Keating and Brennan are well cast, gleefully bouncing off on another throughout the show. Brennan is especially impressive, her soaring vocals and fantastic ability to characterise Deb made her a cut above the rest. Parker and Perrett were perhaps slightly miscast as Jason and Claire, a couple supposedly in their 30’s. Nonetheless both played well and finally managed to bring some heartfelt emotion to the piece in its closing numbers. 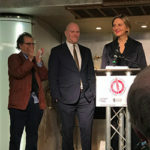 Being overly critical would not be fair; this production is good and it is clear that all involved are doing this for the love of theatre which makes it somewhat more refreshing than career pieces of Fringe I often see. Just over an hour is the perfect duration for this piece, allowing the audience to connect with each character without becoming tired of the solo number structure. The closing scene of the show looked rather wonderful and tied the piece up nicely. 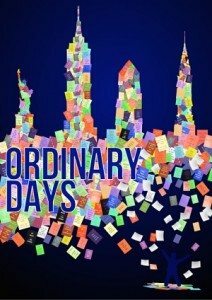 Whilst this production is by no means the most professional piece of theatre in the arguably over saturated London Fringe scene, Ordinary Days is a nice little bite size piece of theatre that will leave you feeling sweet, uplifted and hopeful. Ordinary Days runs at the Rosemary Branch Theatre in Haggerston until the 28th February.